As we are said to suffer with him, so we are said to die, to be dead with him; with him, that is, by the dying of his body. ‘Now, if we be dead with Christ, we believe that we shall also live with him’ (Rom 6:8). Wherefore he saith in other places, ‘Brethren, ye are become dead to the law by the body of Christ’; for indeed we died then to it by him. 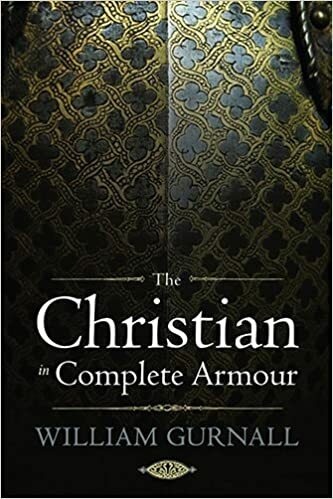 To the law that is, the law now has nothing to do with us; for that it has already executed its curse to the full upon us by its slaying of the body of Christ; for the body of Christ was our flesh: upon it also was laid our sin. The law, too, spent that curse that was due to us upon him, when it condemned, killed, and cast him into the grave. Wherefore, it having thus spent its whole curse upon him as standing in our stead, we are exempted from its curse for ever; we are become dead to it by that body (Rom 7:4). It has done with us as to justifying righteousness. Nor need we fear its damning threats any more; for by the death of this body we are freed from it, and are for ever now coupled to a living Christ. John Bunyan, Justification by an Imputed Righteousness, vol. 1 (Bellingham, WA: Logos Bible Software, 2006), 304. …While it is certainly true that as a human and with reference to himself Christ was subject to the law, it must be emphasized that his incarnation and being human occurred not for himself but for us. Christ never was, and may never be regarded as, a private person, an individual alongside and on the same level as other individuals. He was from the very beginning a public person, the second Adam, the guarantor and head of the elect. As Adam sinned for himself and by this act imposed guilt and death on all those he represented, so Christ, by his righteousness and obedience, acquired forgiveness and life for all his own. Even more, as a human being Christ was certainly subject to the law of God as the rule of life; even believers are never exempted from the law in that sense. But Christ related himself to the law in still a very different way, namely, as the law of the covenant of works. Adam was not only obligated to keep the law but was confronted in the covenant of works with that law as the way to eternal life, a life he did not yet possess. But Christ, in virtue of his union with the divine nature, already had this eternal and blessed life. This life he voluntarily relinquished. He submitted himself to the law of the covenant of works as the way to eternal life for himself and his own. The obedience that Christ accorded to the law, therefore, was totally voluntary. Not his death alone, as Anselm said, but his entire life was an act of self-denial, a self-offering presented by him as head in the place of his own. Herman Bavinck, John Bolt, and John Vriend, Reformed Dogmatics: Sin and Salvation in Christ, vol. 3 (Grand Rapids, MI: Baker Academic, 2006), 379. 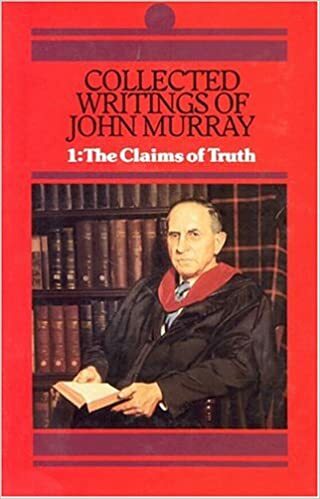 One of my favorite shorter articles on Christian ethics is John Murray’s contribution simply called, “The Christian Ethic.” At one point in this article he discussed how God’s law and love relate in Christian ethics. He gave three specifics: The primacy of love, the priority in love, and the specific nature of the correlation of law and love. The section I’ll post below made me think of legalism. Legalists are very law-heavy and quick to judge others when it comes to the details of the law. Legalists will quickly condemn Christians, preachers, books, Christian music, and so forth if these things do not measure up to their law-heavy and detailed standards. Legalists are always upset with someone or something and they rarely encourage, help, or share the burden of those who are (in their eyes) inferior. They are quick to complain and condemn, but slow to encourage and help. I don’t think it is an overstatement to say this: the more legalistic a person is, the less he or she truly loves others. The opposite is also true. Love is primary because only by love can the commandments be fulfilled. Love is emotive, motive, impulsive, and expulsive. It is emotive in that it constrains affection for its object, motive because it is the spring of action, impulsive because it impels to action, expulsive in that it expels what is alien to the interests of its object. We know only too well what a grievous burden is formal compliance with commandments when there is no love. Why is labor so distasteful, why so much heartlessness, and with heartlessness deterioration in quality and the mark of dishonesty on the product? It is because there is no love. Most tragic of all is the evidence of this in the highest of vocations [callings] and the discharge of the most sacred functions. The apostle reminds us: “If I speak with the tongues of men and of angels, but do not have love, I have become a noisy gong or a clanging cymbal. If I have the gift of prophecy, and know all mysteries and all knowledge; and if I have all faith, so as to remove mountains, but do not have love, I am nothing. And if I give all my possessions to feed the poor, and if I surrender my body to be burned, but do not have love, it profits me nothing” [NASB]. This quote is found on page 178 of John Murray’s Collected Writings, page 178. The law does tell me to love the Lord my God, but it does not enable me to do so or to lay hold of Christ. Martin Luther, Galatians, Crossway Classic Commentaries (Wheaton, IL: Crossway Books, 1998), 198. “As we recognize the awful sanctity that surrounds the law, we shall certainly be crushed with a sense of our own hell-deserving guilt and hopeless inability. We shall certainly be constrained to cry out, ‘Woe is me for I am undone.’ ‘Surely I am more stupid than any man, and I have not the understanding of a man’ (Is. 6:5; Prov. 30:2). But in that condition there falls upon our ears and into our hearts the sweet news of the gospel, the gospel of a crucified and risen Redeemer and Lord. “Christ has redeemed us from the curse of the law, being made a curse for us’ (Gal. 3:13). We shall be constrained to come to Calvary. But when we come to Calvary for the expiation of our guilt and the remission of our sin, it is not to diminish our esteem of that law nor relax our sense of its awful sanctity and binding authority. Oh no! …When we are possessed by the sense of the authority and sanctity of the moral law, we must come to Calvary if any true and living hope is to be engendered within us. But when we rise from our prostration before the Cross, it is not to find the moral law abrogated, but to find it by the grace of God wrought into the very fiber of the new life in Christ Jesus. John Murray, Collected Writings vol. 1, p. 203-204.